What is your batting average? 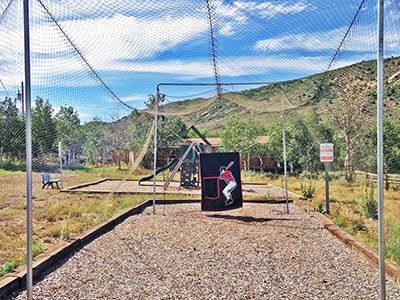 Guests can practice hitting baseballs inside the Batting Cage. For Youth groups there is a nominal fee for using the Batting Cage up to four dozen balls. Guests can hit at 12 balls for $2, 24 balls for $4, 36 balls for $6. For Sign-up at the Trading Post to use the Batting Cage throughout the day.